Open 24/7 365 days a year. We never close! 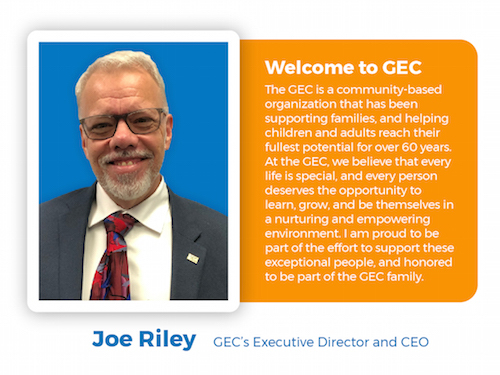 The Guild for Exceptional Children (GEC) is a non-profit organization located in Brooklyn, NY that provides assistance to children, adults, and seniors with developmental and intellectual disabilities. Our preschool, UPK, family support, residential, and day habilitation programs support individuals with special needs, such as: Autism, Epilepsy, Down Syndrome and Cerebral Palsy. The focus is always on promoting individuality and self-advocacy and learning important life skills. Opportunities for volunteers & community engagement are offered through plentiful events, as well as through our horticulture and music programs and art and ceramics studio. As always, we thank you for supportive donations that allow us to continue our efforts to assist families in every step of their journey.